The majority of real ale consumers value independently owned breweries, with nearly three out of four (74%) ale drinkers who expressed an opinion saying they are concerned that small independent breweries are being bought by larger multinational drinks companies in the UK, according to new research conducted by YouGov. The respondents expressed further concern that breweries that have been bought out are still marketed with the same branding from when they were independent, regardless of the change in ownership. 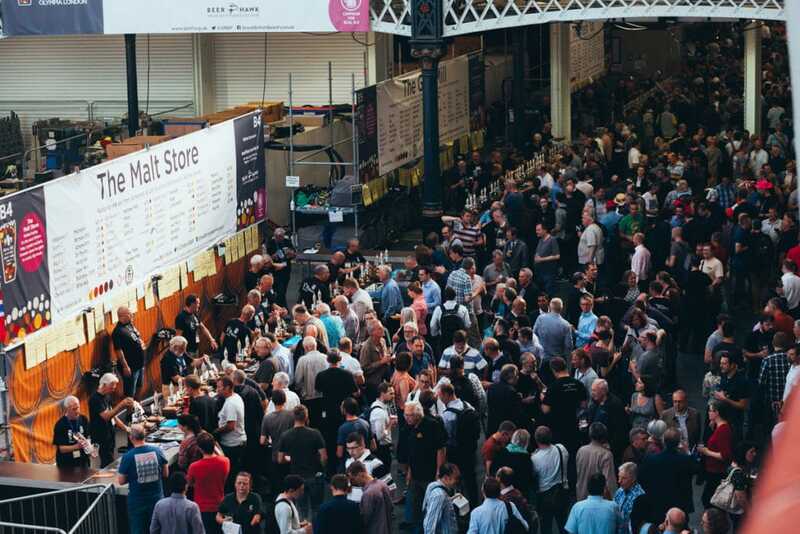 The research demonstrates the continuing shift in consumer preferences away from global brewers and towards beers that are considered to be of local provenance, highlighting why beer festivals such as the Great British Beer Festival continue to be so popular. In light of this, CAMRA will be teaming with the Society of Independent Brewers (SIBA) to ensure that festival-goers know which beers have been brewed by independent craft brewers. The assured ‘seal’ will appear on festival bar banners next to truly independent craft brewers, as well as in the event guide’s tasting notes. Catherine Tonry, organiser of the Great British Beer Festival says: “The Great British Beer Festival has remained incredibly popular for over 40 years, with 50,000 visitors coming through our doors each summer. The reason for our enduring popularity is that you can try nearly a thousand different ‘local’ beers from across the UK and abroad all under one roof. Mike Benner, SIBA’s Chief Executive adds: “Beer drinkers want to know the brew in their glass has been made by a truly independent craft beer and SIBA are delighted to see CAMRA backing the ‘Assured Independent British Craft Brewer’ initiative at their flagship event and the UK’s biggest beer festival. This year, there will be more beers available at the festival than ever before, with an additional 140 rotating beers to expand brewer’s range. Visitors can enjoy even more choice with the festival’s first-ever alcohol-free beer range, 40 different vegan-friendly beer options and 15 gluten-free beers on tap. This is in addition to an impressive brewery bar line up, which will see newly established breweries such as Beer Monkey and Greyhound join the festival for the very first time. All figures, unless otherwise stated, are from YouGov Plc. Total sample size was 2,070 adults, of which 256 were real ale drinkers who expressed an opinion. Fieldwork was undertaken between 6th-9th July 2018. The survey was carried out online. The figures have been weighted and are representative of all GB adults (aged 18+). The YouGov survey asked: “Please read the following text carefully before answering the question below… Small independent breweries can be bought by larger multinational drinks companies. Once, these companies have been bought, the drinks they make can still be sold with the same branding from when they were independent, regardless of the change in ownership. With this in mind, how concerned, if at all, are you that this happens in the UK?”. Of all the UK adults who regularly drink real ale who responded (excluding those who responded ‘don’t know’), 74% expressed net concern, and 26% expressed net non-concern.